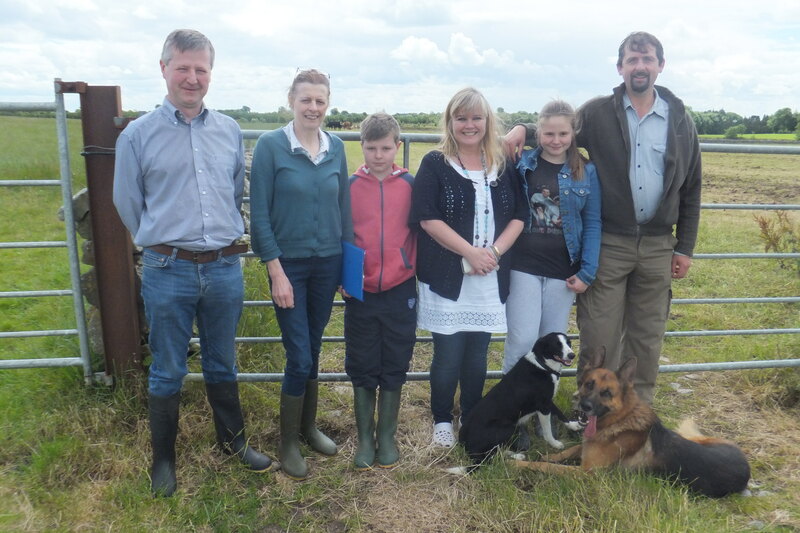 Teagasc advisors Austin Callaghan and Geraldine Hynes (left) join the Dixon family (Anna and Oliver along with children Daniel and Hazel) to discuss plans for the upcoming organic demonstration farm walk which will be held on the Dixon’s farm on Thursday, July 17, at 2pm. A nationwide series of 12 organic demonstration farm walks, to showcase successful organic operators, will commence on July 17. 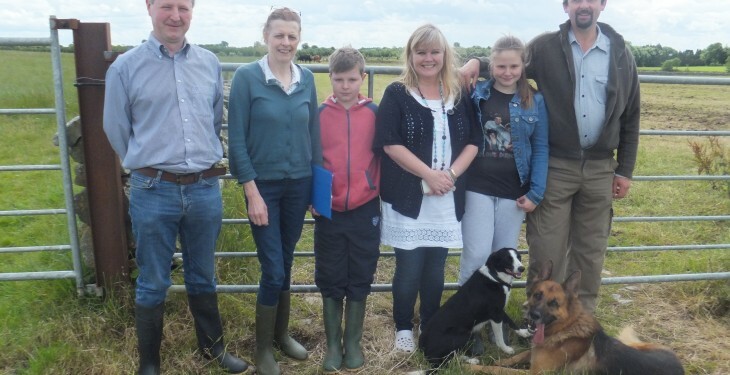 These farm walks will highlight the opportunities which exist in the organic sector. Organised by Teagasc, in conjunction with the Department of Agriculture, Food, and the Marine, the first farm walk in this year’s series will take place on the farm of Oliver Dixon, Ahena, Calaremorris, Co. Mayo on Thursday, July 17, at 2pm. 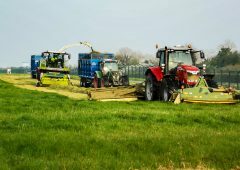 According to Teagasc, organic farming can be a profitable system of farming with some of the most profitable farmers in the country farming organically. 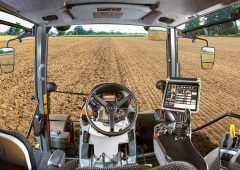 Maintaining high output levels, coupled with lower production costs and premium market prices contribute to higher margins. 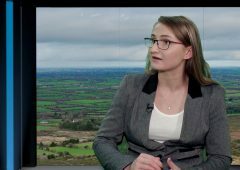 Earlier this month, in a show of commitment to growing the sector, Minister for Agriculture, Food and the Marine, Simon Coveney announced an increased budget of €44 million to be allocated to the new Organic Farming Scheme due to re-open in early 2015. Irish organic food enjoys an excellent reputation both at home, and especially across Europe. There are shortages in the domestic market especially in grain, milk, fruit and vegetables. There is considerable scope for import substitution of fruit and vegetables. 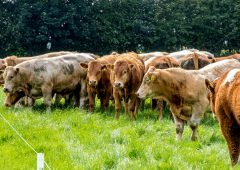 Demand for Irish organic beef is on the rise, particularly in Europe. The Irish organic market is worth around €98 million, up from €63 million in 2004. The EU market has quadrupled in size over the last 10 years and is now worth over €20 billion euro. In Ireland, just over 1 percent of land is farmed organically, a doubling of area since 2000. There are in excess of 1,500 organic operators including 40 organic farmers in Co. Mayo. The majority of these (about two-thirds) are drystock farms. 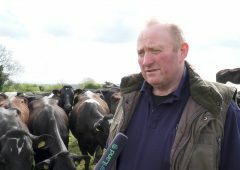 Dan Clavin, Organic Specialist at Teagasc, Athenry said: “The series of farm walks are a great opportunity for conventional farmers to see the developments and innovations currently taking place on organic farms. 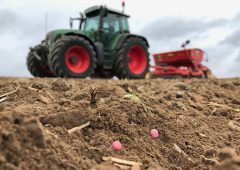 For organic farmers, the walks also provide the opportunity for the sharing of information and experiences between producers in an open and informal manner”. 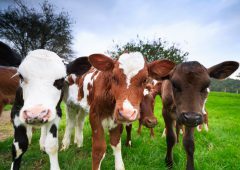 At the upcoming farm walk, topics for discussion will include, steps to successful organic conversion, white and red clover establishment and management, cattle breeding, cattle housing, organic market requirement and financial performance. 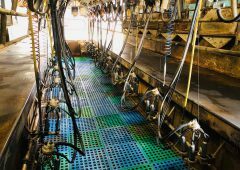 Oliver Dixon, along with representatives from Teagasc, the Organic Certification Bodies and Department of Agriculture, Food and the Marine, will be on hand on the day for questions. Farmers, and their families, along with members of the public are welcome to attend. This is a Beef Technology Adoption Programme (BTAP) approved event. Admission is free of charge.